PARKLAND, Fla. - Almost a year has gone by since a shooter opened fire on students and faculty at Marjory Stoneman Douglas High School in Parkland. City officials addressed the media Monday about the upcoming commemoration plans. 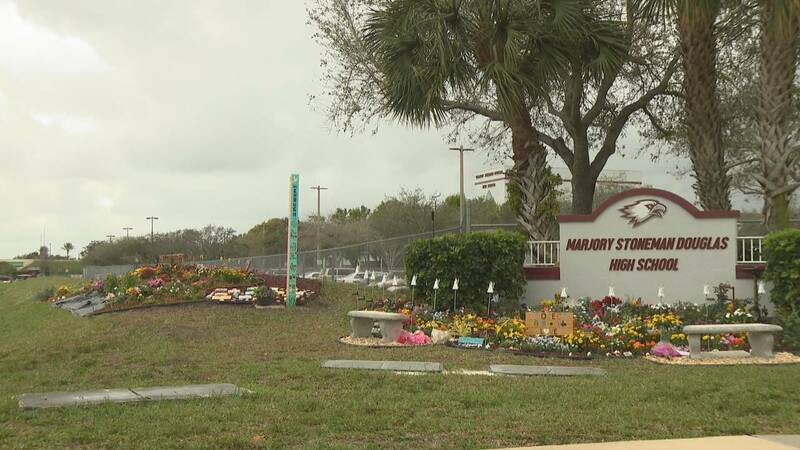 "The city of Parkland reached out to the families, the school and other representatives who were affected, and we held their feedback to the forefront when making plans for this Feb. 14," Parkland Mayor Christine Hunschofsky said. One of those plans is the interfaith ceremony at Pine Trails Park. The ceremony was requested by families who lost loved ones last Valentine's Day. Thursday will be observed as a day of service and love, as students at MSD will be working on projects honoring the lives lost. They will be joined by so many across South Florida who will be doing the same. In the city of Coral Springs, a 35-foot temple called The Temple of Time was built by artist David Best and is meant to serve as a place where pain and difficult emotions can be left to make room for healing. The temple will then be burned in a ceremonial fire in May. "The temple has been built with our community, specifically families, students and faculty from MSD, in an effort to produce a great object of beauty out of grief and loss," Coral Springs Vice Mayor Joy Carter said.